"Sometimes a bit of nature with a unique human touch is all it takes to lighten the day and remind people of what truly matters. On Main Street next to Rockland Trust Bank, a new kind of garden is growing – a Kindness Rock garden. The space is decorated with small, painted rocks. Every painted rock displays either a phrase of encouragement or a small drawing of the artist’s desire. 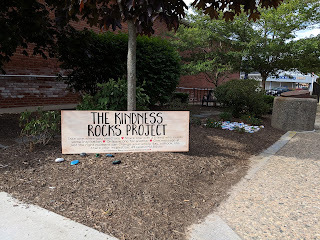 A sign outside the garden encourages people to take a rock if they’re in need, and to leave one if they’d wish. 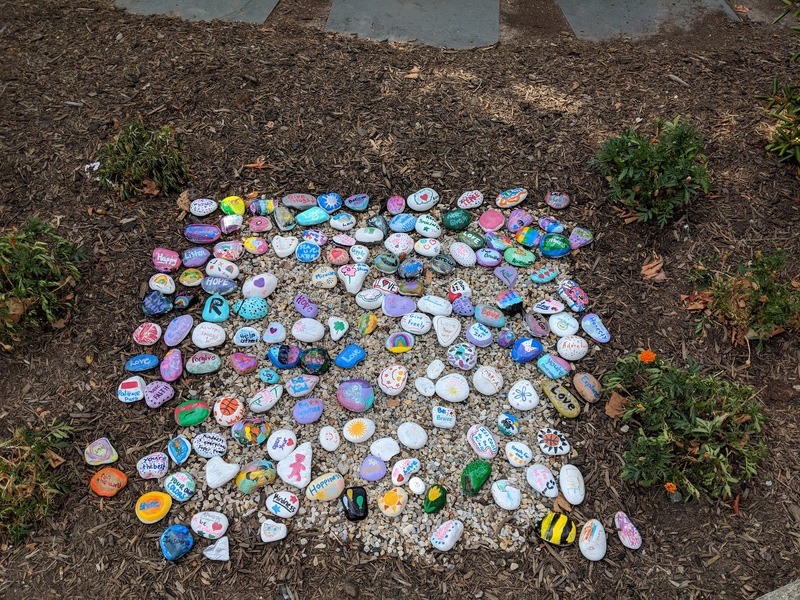 Berry Insurance owner and coordinator of the project Kaitlyn Pintarich said she was moved by the idea after finding a small painted rock in the Franklin Town Common last winter."